August 2015: Both D.H. Hill and J. B. Hunt libraries have returned to 24x5 service! Mar 27, 2014 at 10am: We just hit 16% of the entire undergrad+grad student population. Mar 25, 2014 at 4:10pm: 10% of student population. Mar 20, 2014: We launched. Resolution 106: An Act to Recommend Support for Library Journals and Student Access at North Carolina State University. Council Resolution II: An Act to Recommend Support for Library Journals and Student Access at North Carolina State University. Questions? See our FAQ link above. Due to budget cuts, NCSU is considering permanently shutting down night time access to Hunt Library-- as soon as the end of Spring 2014. Your support can ensure that we keep our new state of the art library facilities open to students 24 hours a day. No university is complete without a place of study. We're here to start a dialogue that provides students with facilities that match and exceed today's student needs at locations such as D.H. Hill, and J.B. Hunt. The goal of this campaign is to communicate the needs of students to keep both libraries at NC State adequately funded such that the academic endeavors of all students are not inhibited. awareness to the NCSU campus. NCSU is an academic institution. Let's make access to study space and resources a priority. Wait to see demand once Wolf Ridge is fully open. As a textiles student, my coursework is research heavy. All of the books related to my field are at Hunt Library so shutting down Hunt would make it difficult for me to find other time outside of class and work to work on projects and homework! I stay at hunt past midnight at least once a week. There are many students there and this would be a terrible move on NCSU's part. I go to hunt for safety reasons- parking and walking to hunt at night time is safer than doing so on Hillsborough street. Please DO NOT shut down Hunt! Terrible idea! 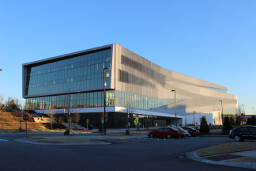 Hunt library is the central hub for studying and technology resources on centennial campus. With the amount of work demanded by a modern engineering major, Hunt library is often the only place where students can work the long hours needed to complete assignments. Additionally, Hunt library offers the centrality needed to successfully complete group work on Centennial campus, it's numerous study rooms providing much needed collaborative space vital to a productive group. The idea of closing Hunt at 11:00 PM is staggering. Anyone who has spent time at Hunt library knows that it's peak hours of use are from 9:00 PM - 12:00 AM, and perhaps even beyond. I urge whoever is considering this decision to think carefully about the damage this could do to the centennial community and what harm could come from forcing students to do their late night studying elsewhere. As a Grad Student in Engineering, Hunt Library supports us guys as a place to study overnight in the centennial campus. I can not stress this enough, but we NEED this to be open. As a recent graduate from State, I can firmly say that night outs at Hunt were critical for completing loads of course projects which require hours of concentrated effort in silence. As large of a campus as we have, it is simply irresponsible to close Hunt library. As an engineer, I know how much money simply having an accredited program can bring. The library is where I can constantly find a "new" study spot every single time and escape from distractions. Late night study sessions are where I get the most of my work done! Nighttime is when students need the library most. Please don't screw us over. My days are quite hectic and I stay up late to get my school work finished. I used to go to DH Hill a lot but it has gotten exceedingly crowded and loud. If you wish to study with just one person, it is difficult to find two seats open at a table. Hunt library allows people to study comfortably at night. Hunt is one of the few places on campus I can focus late at night when I have a large load of Engineering assignments. Please keep it open 24 hours! Engineers are nocturnal animals, cannot live outside their natural habitat. I won't have anywhere else to go at night after the Engineering Buildings close otherwise when I want to stay on campus late and study/do work. I'm sure I'm not the only one that this would impact. It is a safe place to study that has plenty of parking nearby. I feel much safer when I walk from hunt to my car than I do from many other areas within main or centennial. It is the only place on centennial campus for students to study all night. The EB lobbys are too small to accommodate such a large number of students. Moreover, lots of engineering students do group projects and we engineers love to work at night time. So Hunt should be open 24 hours a day. 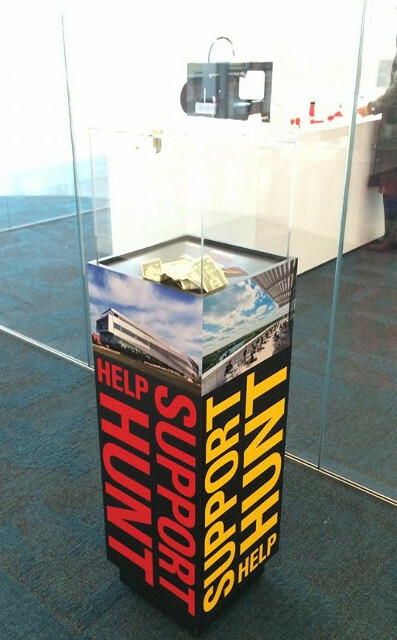 SaveHuntLibrary.com is not affiliated with the NCSU administration. See the Contact tab for more information.